StarBoy Worldwide Boss, Ayodele Balogun popularly known as Wizkid @wizkidayo bags ASCAP Billboard Award as Writer of "One Dance" featuring Drake and Kyle.
" This came in last night! Big up my bro @champagnepapi for letting me work on this!! More Drake x Wizkid on the way!! 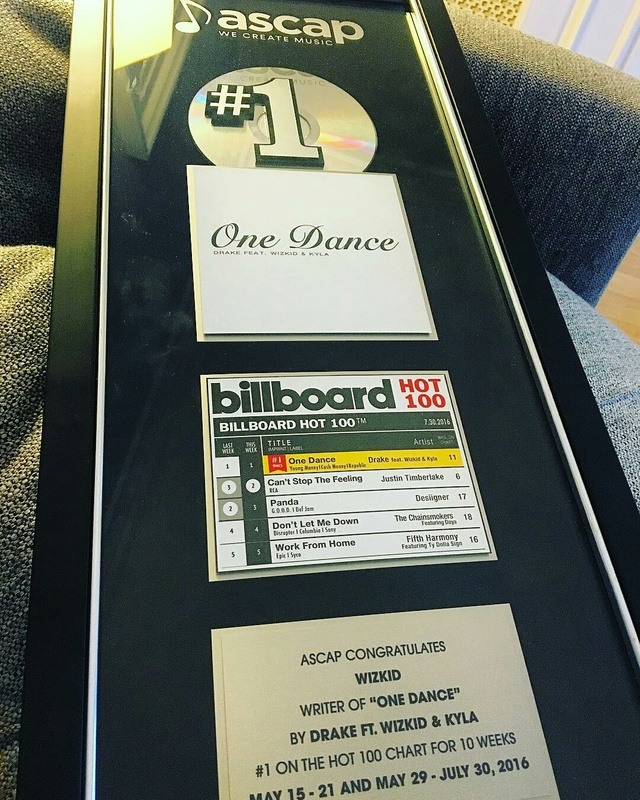 😈"
"One Dance" has been the No.1 of Billboard's Hot 100 Chart for 70 Days.